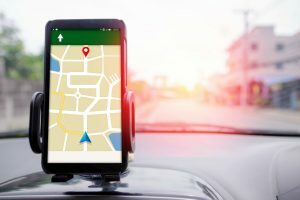 If there are GPS meant for aviation and drivers, there are also GPS systems meant for those who work in the marine industry, such as sailors, water sport enthusiasts and navigators. 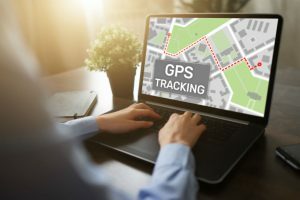 These GPS systems are very important for those in the marine industry because it helps them traverse the open ocean and navigate around obstacles that cannot be seen while sailing. Marine GPS have more sophisticated features in comparison to other GPS devices, as some have sonar, chart plotting systems and even a radar. 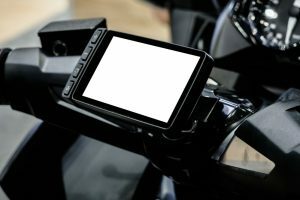 However, if you are looking for a cheap and powerful marine GPS, there are a lot of options to choose from. 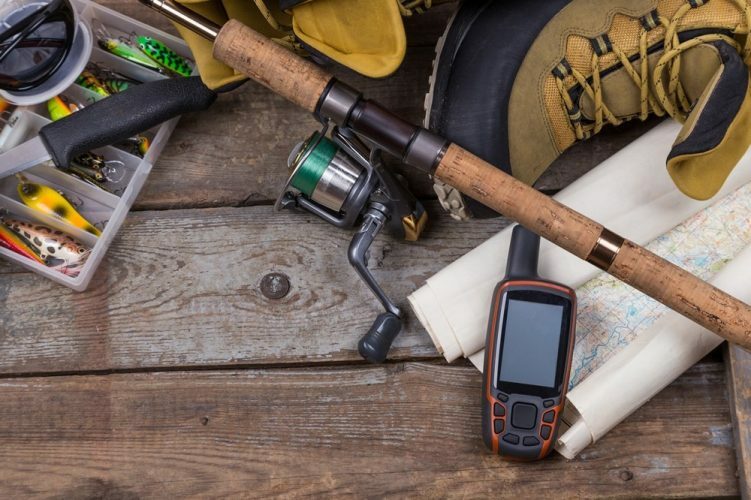 Here are some of the available marine GPS on the market that can help you on your next voyage. 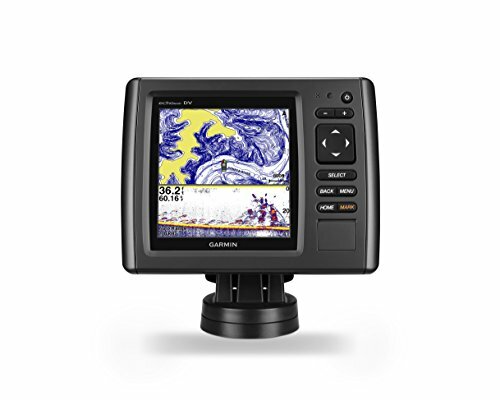 This Garmin GPSMAP 78sc is a best seller when it comes to marine GPS as it has a high-sensitivity GPS receiver that will detail where you are in seconds. 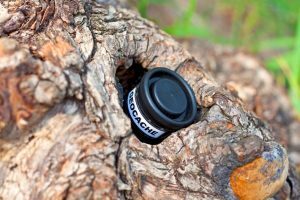 You won’t have to worry about this device getting wet because it is encased in a IPX7 standard casing that will allow it to work in water. It even floats! This device gives you the built-in 3-axis tilt-compensated electronic compass, and a barometric altimeter that tells you when the altitude and weather pressure changes. You also get a built-in BlueChart g2 U.S/Bahamas coastal charts and the chance to add additional marine routes thanks to its microSD card. This device has its very own MOB (man over board) button to help you out just in case you need help or there is an emergency. Do you like to fish and want to make sure you know where you are when on the water? 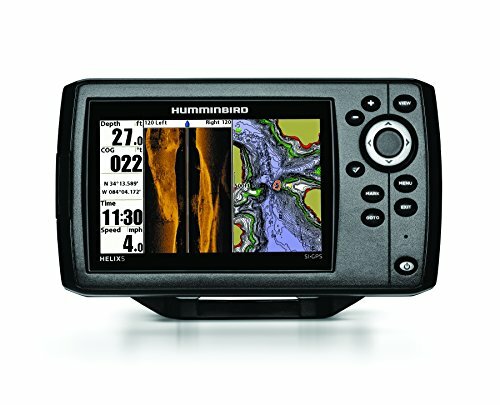 Get yourself this marine GPS that has a 800H X 480 V, 5” inch color display with backlight that helps you read your route in any weather condition. 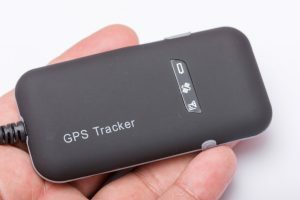 It also has a side imaging/down imaging capacity so you can view the details of your location and the GPS details. This device also has a Dual Beam Plus sonar with 4000 watts PTP power output capacity for accuracy. 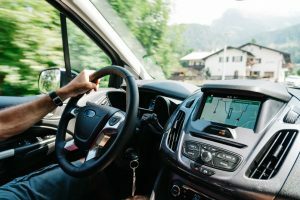 It also has a precision internal GPS chartplotting system with a built-in UniMap cartography that provides detailed maps and terrain. 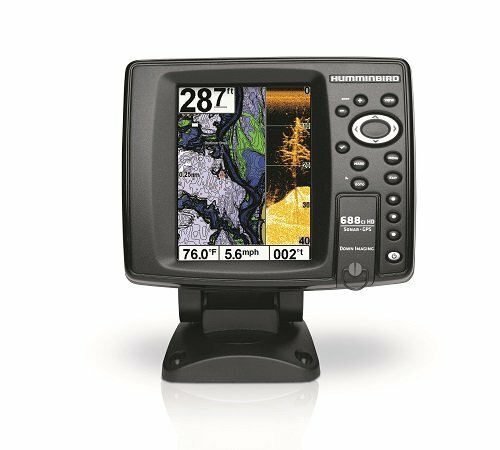 This marine GPS is both a chartplotter and a sonar that can be bought with a 4, 5, 7 or 9 inch display, which allows you to view your charts and the sonar reading with its sunlight-readable display. The CHIRP SONAR installed in this system constantly sweeps your route to determine where marine life is located. If you get the dv version of this marine GPS model, it has a built-in 500 W (RMS) sonar and the CHIRP DownVu scanning sonar that will detail the frequencies it captures. The CHIRP SideVu scanning sonar is included in the sv series of this marine GPS. 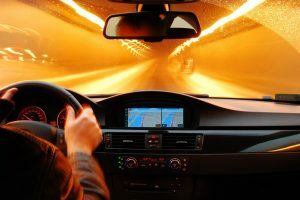 The 5 Hz GPS ensures that your position is accurately determined and points out your destination quickly. You also get the built-in BlueChart g2 chart or the LakeVu HD maps with your device and can add more through the microSD card slot. 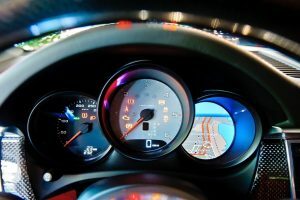 This 4-inch color display helps you check out your route and what is under the water. 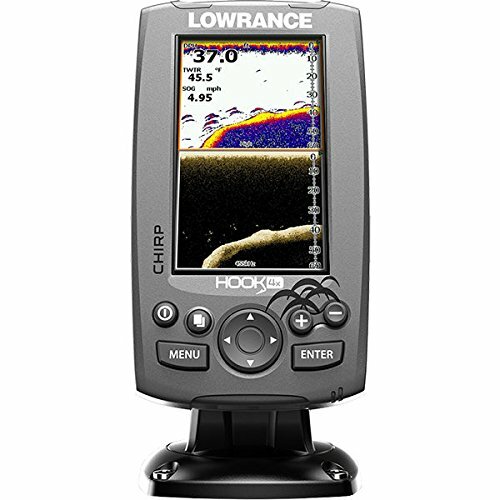 The CHIRP sonar plus downs will give you the view beneath your boat and even clearly determine where the fish and other underwater obstacles are. 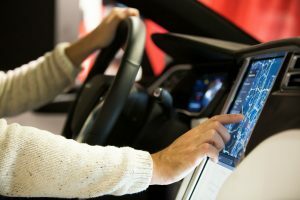 It also has an advanced signal processing (ASP) system that helps you to adjust your settings for more detail. 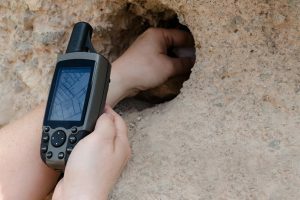 This device can also record your sonar history and help you plan your next routes. 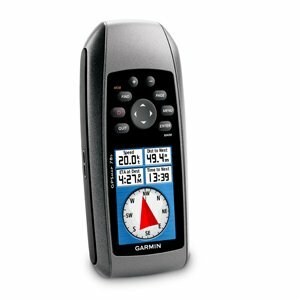 This Garmin marine GPS has a 10Hz GPS/GLONASS receiver that allows it to refresh its location 10 times per second. It also has a colored and fluid on-screen display that allows you to accurately determine obstacles, fish and the changing weather patterns with ease. It even comes with a transom/trolling motor mount transducer and chartplotter which helps you navigate in the open seas. It is also waterproof in IPX7 standards and you can add new maps thanks to its microSD card capacity. 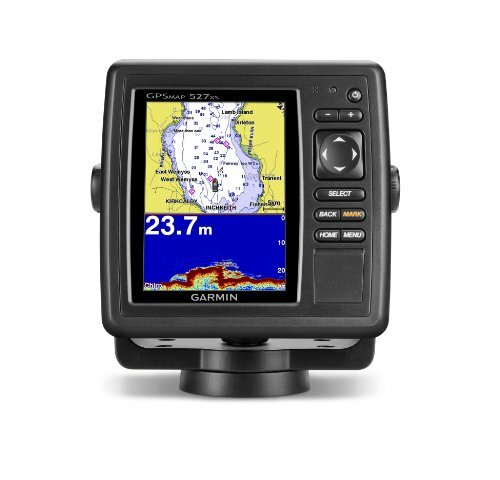 This marine GPS has a high-definition screen that helps you view nautical charts, sonar charts and community edits for the map. You can upload additional sonar logs with this marine GPS and take advantage of the daily updates which can be downloaded online. This marine GPS also comes with its own down imaging sonar and DualBeam PLUS sonar with 4000 watts PTP power output that makes it efficient during long journeys. 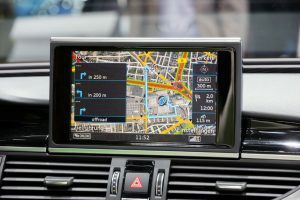 It also has a precision internal GPS Chartplotting and UniMap cartography function for additional maps that you want to include in your system.